Whether you are a business owner or homeowner, our exquisite spring containers will make your establishment look exceptional. Beautiful plantings give outdoor spaces a warm ambiance, making businesses more inviting to customers and homes and neighborhoods more pleasing to visitors. 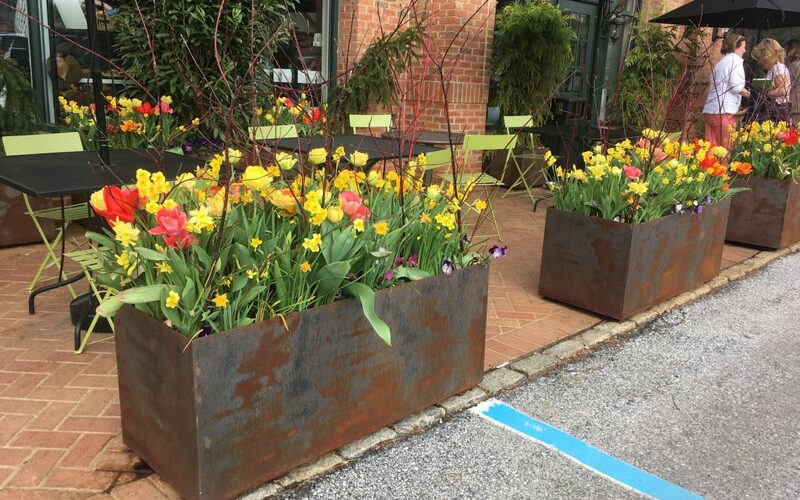 Our containers are designed using only the highest quality spring bulbs, shrubs, perennials, and annuals that will continue to look great through the early season. We create contained plantings to suit our client’s preferences for color, appearance, and budget. Our carefully designed plantings always leave our customers satisfied. Binkley has been locally recognized as providing the best container design services, so you can feel confident that your potted plantings will look fantastic. Most of our clients continue with our container design services through the season, requesting plantings for summer, fall, and winter. Call (484) 459-2391 to schedule a free container garden consultation today!